Are you looking to redecorate a room in your house and you don’t want to paint, you can’t find wallpaper that you like, have you thought of putting laminate flooring on the wall? Before you yell out ‘What’ consider this, people have used wood paneling for years in their Living room, Recreation or Den to give it that warm inviting feel. Also keep in mind that restaurants and hotels have been decorating this way for years. Don’t limit yourself with running the planks horizontally, you can also go vertically and if you’re really adventurous, try installing it diagonally. Once you have picked out which laminate planks you are going to install, make sure the planks are kept in the same room where they will be installed 48 hours prior to the installation, this will allow the wood to acclimate to room. Some manufactures have lot numbers on the package, think of lot numbers as a means of consistency within the product, you want all of the packages to have the same lot number, if they are not then you could have a variation of color or thickness. 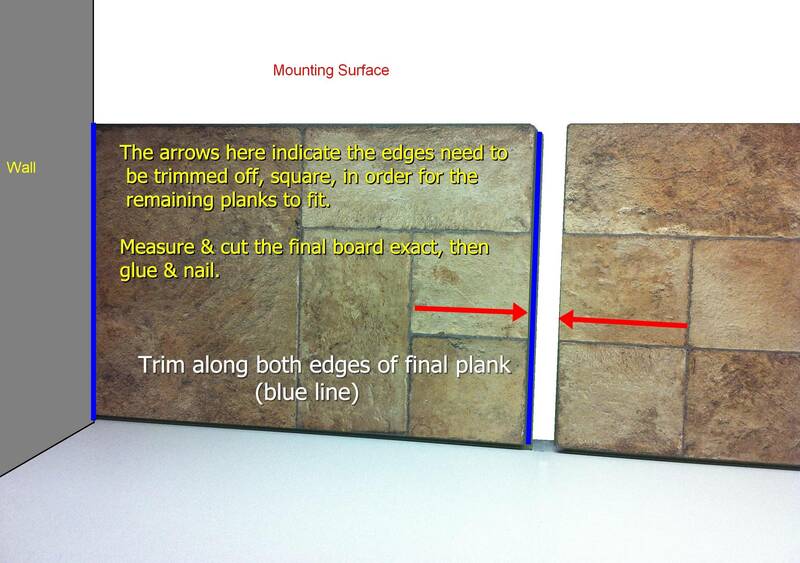 Measure your wall and buy your flooring accordingly. 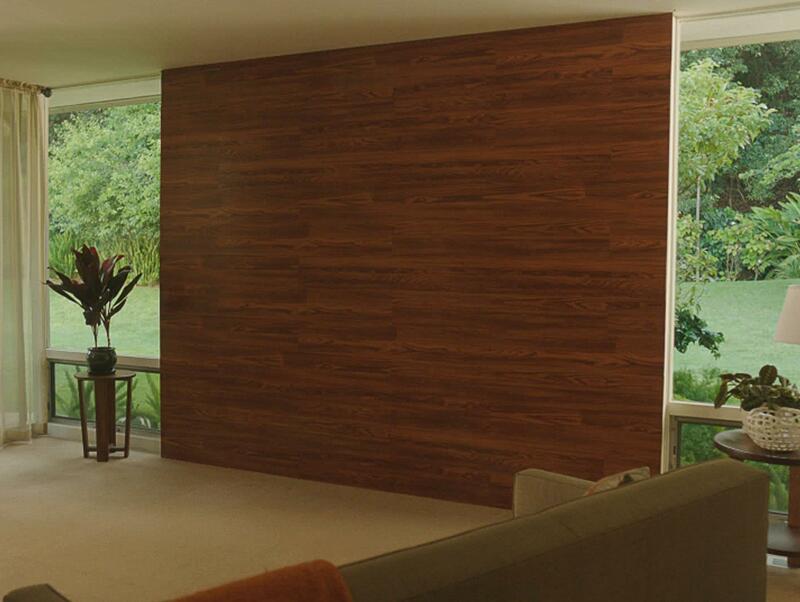 Measure ceiling height and calculate how many rows of boards will fit fully on your wall. (If you have to cut a row of boards to fit, decide whether you want the cut row to be on the top or near the bottom. If the cut row will be on the bottom, work from the top of the wall down. If the cut row will be on the top, work from the bottom of the wall up. Use a stud finder to determine where the studs are. Mark them both horizontally and vertically with a pencil, making a reference grid on your wall. Lay boards out on the floor to plan which will fit and which will need to be cut to fit, setting aside boards that will need to be cut. Squirt a thin strip of Liquid Nails onto the back of the first plank in a zigzag pattern. Apply this board to the wall in the upper corner (if working from the top down). Align the edge of the board with the edge of the wall. Repeat this process to fill up the wall. Measure and cut each board to make sure they fit evenly. Join your boards with the gap as close to the middle of the parallel boards as possible. Use a mallet and tapping board or 2x4 to gently tap each new board against the adjoining board. into place. If you only need to make a short cut, you may want to nail the face of the board into place and smooth over the nail holes with wood filler. Putting laminate or real wood planks can be placed on a ceiling, but since you are working against gravity, theres a bit more things you'd need to consider before doing this kind of project. Most pros opt to take out the existing drywall and instead put up a plywood base before placing any planks over it. The existing ceiling drywall (if that is what your ceiling is now) isn't suitable as a direct base since this is on a ceiling and not a wall, the gypsum in the drywall doesn't allow proper adhesion and workability for any plank flooring on the ceiling. This is the big difference between placing this on the wall versus a ceiling. Failure to do this will make the planks unsafe and not work at all. Without getting into too much details, there's things to consider such as safety when using ladders and wearing eye and breathing protection, since you are doing the exact opposite installation of the floor. After using a plywood base, you can use the same steps in this thread authored by Tangelo to get the right installation. Let us know if have any further questions and let us know if we can be of further assistance. We posted a short video on this project on the Apron Blog. Blog reader Lawson wonders what to do if the accent wall butts up against perpendicular walls. Specifically, how would you tap each board in from the side if there's another wall in the way? "How do you do this if you use the full wall from corner to corner? How do you tighten the boards in between each other?" Also, how would you finish the edges that butted up against another wall? This is in response to Lawson Olbrych posting on our Apron Blog. Here is how you would handle this situation. Looking at the planks below, the green edge that is running along the red dotted line needs cut off square in order for the planks to fit flush against each other. These two planks are the final boards of each row that must be cut in order for them to fit between the wall. If you were working from right to left, then the plank on the left would need to be trimmed on both sides. Once trimmed, the plank will be glued & nailed just as you have done to the previous planks. In the picture below, the two arrows indicate the side that needs to be trimmed, note on the far left side of that picture indicates "wall". Make sure to stagger the planks so seams are NOT above each other. How to finish off the inside corner? If you use matching quarter round moulding, this will give it a finishing touch, and cover any imperfections. Is there any way to do this over a brick wall? Yes, this project is possible to do over a brick wall. To ensure all the planks will be pieced together properly, you can use a thin (1/4") sheet of plywood over the area of wall you'd like to cover. If you use the Liquid Nails adhesive with the laminate planks over the bricks without the plywood, you won't guarantee yourself a level surface to install the planks if the brick isn't level or some parts slightly stick out. Laminate flooring needs at least 1/4" levelness to occur so that no warping or disfiguring occurs. The plywood can be fastened via the same adhesive used for the laminate planks or screwed in by way of masonry-rated screws. Hope this helps you out, and if you decide to do this on your wall, feel free to post pics here on the community! It's always great to see a fellow associate on here, glad you are with us as well as your product knowledge! As I stated earlier in this thread, using a plywood base would minimize any damage done to the wall. If you fasten the plywood directly into the stud, you can significantly reduce the amount of spackling or drywall touchup when you move out. Simply measure and plan out the areas you'd like to cover. If you fasten it in a way that can be easily removed, you can use your wall for the next place you move into! As for Allure Ultra, it can work as long as the adhesive you use is rated for vinyl. A few of the Liquid Nails line of adhesives can unfortunately 'burn-through' or show where they have been applied. Make sure the one you choose has no burn through, such as the Liquid Nails Tub Surround or Paneling adhesives. Stick with Tangelo's advice for the remaining steps and you'll be on your way to get a floor on your wall! Hope to hear from you soon, and please join in on other pertinent topics here on the community...we always like to have more experts here. Your instructions and video say to nail into the tongue. However, the video shows However the mailer going into the groove instead. Does it not matter? I'd like to do this on two walls that join at right angles. 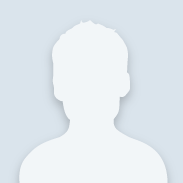 How do I get a square edge at the corner? Bought engineered brazilian laminate wood from Lumber Liquidators. Was not told there was no warranty. Had the wood installed on my lanai (outside) ceiling. Did purchase all the supplies from HD:plywood, glue, nails etc. Result was superb until a few months ago when I noticed a white film covering the wood. Three visits to Lumber Liquidators, several calls and a final letter from their HQ told me I was on my own and no one offered any advice. Help!